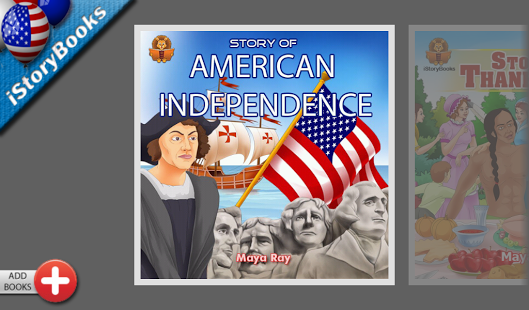 iStoryBooks is proud to launch our American History Edition on the occasion of American Independence Day. 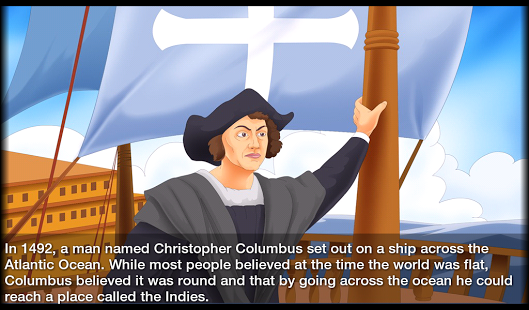 This app is intended to impart children knowledge of the culture and history of America. The app presents to them the profiles of heroes who built this \”land of the free and home of the brave.\” It narrates to children the great story of how America became a free country. Also, the app introduces children to monuments in America of historical and patriotic significance. As we add more books in the future, they will automatically appear in the app. The app is essentially a growing library for growing minds. This Fourth of July celebrate Independence Day by teaching your children the greatness of this nation. Impart to the next generation the values upheld by America through this interactive app which is loved by hundreds of thousands of children all over the world. For more information, visit facebook.com/iStoryBooks. Free version of American History Books. Download and try this App for free. Fixed the App crashing issue.